Black Friday is a highly successful day for the retail shopping sector, even in the automotive industry. Chevrolet’s sales numbers for last month seem to support that sentiment, as the automaker’s retail sales were up by 1.9% last month. Meanwhile, Chevrolet’s overall sales in November were down by 1.1%. Chevrolet sold a total of 167,777 vehicles last month. In November of 2016, the American automaker sold 169,675 vehicles. This 1.1% sales decline is rather consistent with Chevrolet’s year-to-date performance. So far this year, Chevrolet has sold 1,859,079 vehicles, a 1.3% sales decline compared to a year ago. 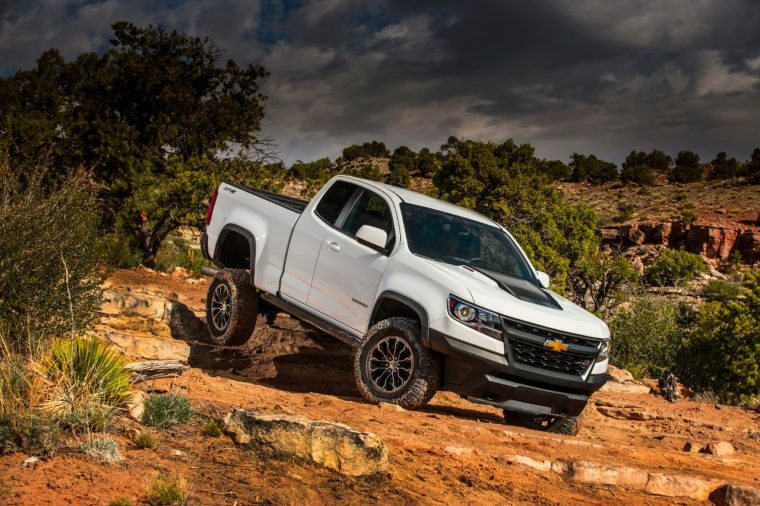 One segment that experienced major sales gains last month was Chevy’s lineup of trucks. Silverado sales were up by 2.6%, while Colorado sales were up by 19.3%. 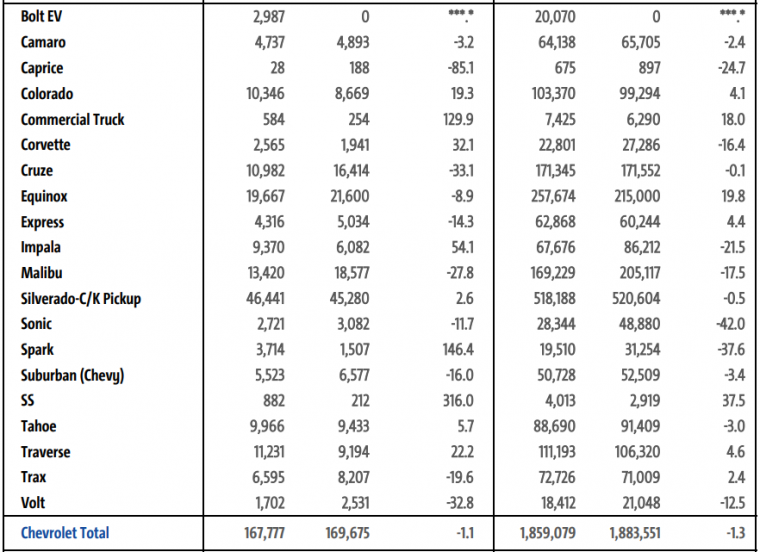 Still, Chevy’s commercial trucks experienced even better sales gains. In fact, commercial truck sales were up by 129.9% last month. In October, the Chevrolet Bolt EV experienced its best sales month ever, with 2,781 units sold. However, that previous success was eclipsed by the Bolt’s November sales, which totaled 2,987 units. Throughout 2017, Chevy has sold 20,070 units of its new electric vehicle. 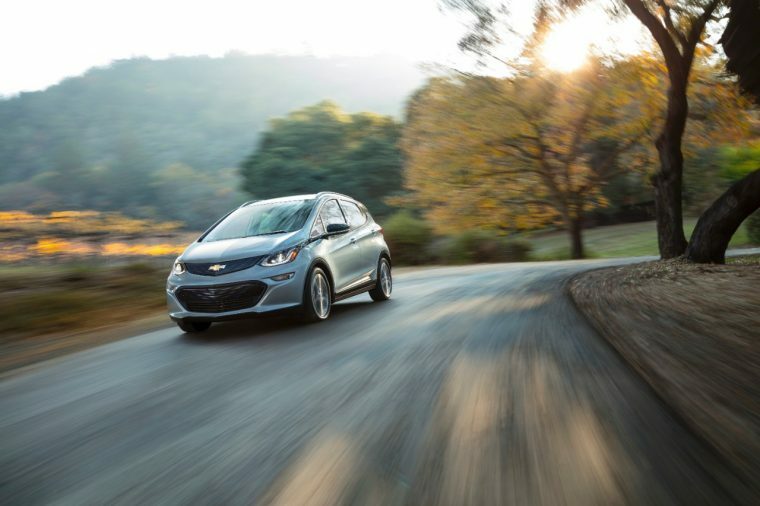 That means that year-to-date, the Bolt has outsold the Chevy Spark, SS, and even its electric cousin, the Volt. 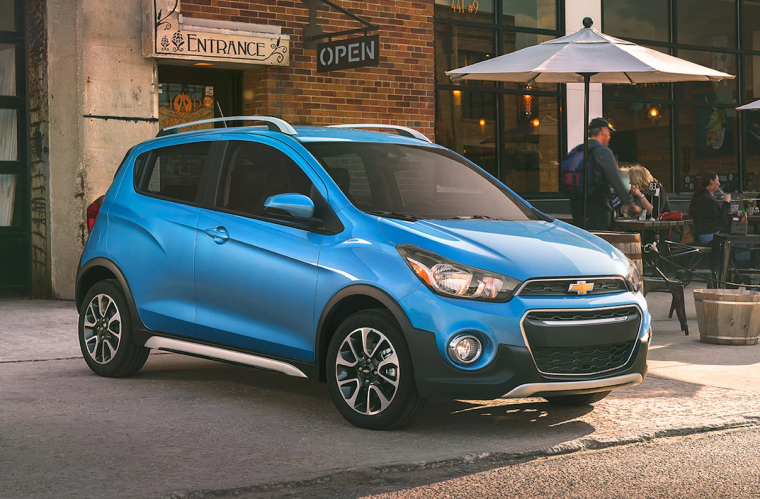 Speaking of the Spark, Chevrolet’s small car model had an uncharacteristically good month in November. Chevy sold 3,714 Sparks last month, a sales increase of 146.4%. Meanwhile, Impala sales were also on a massive rise, with a sales increase of 54.1%. Despite this, both models are still experiencing year-to-date sales losses. If the Spark and Impala had especially good months, then the Chevrolet Cruze had an especially bad one. Cruze sales were down by 33.1% in November, with just 10,982 units sold. 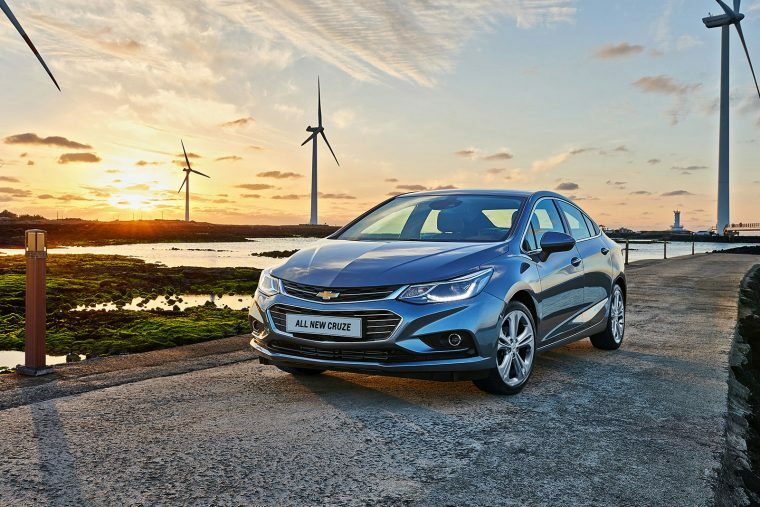 A month ago, the Cruze was till experiencing a year-to-date sales increase. Now, the story has changed, with year-to-date sales down by a little more than 200 units. With only a month left in 2017, it would seem that Chevrolet will finish the sales year in a stable place, with sales only slightly down. Still, if December is profitable enough for the American car brand, then 2017 sales might even surpass 2016 sales.